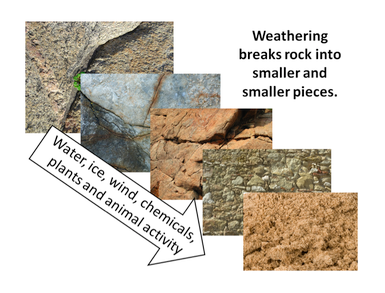 Use the resources below as you explore our science unit "Formation of Soil, 3.7A." 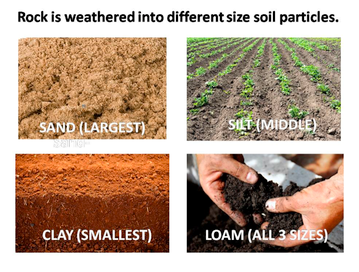 You will use the checklist below to choose the way in which you want to learn about the formation of soil. At the bottom of the check list, you will see how many points you need to achieve the grade you want. Determine the grade you would like and then develop a plan of how to accomplish the points needed for that grade. 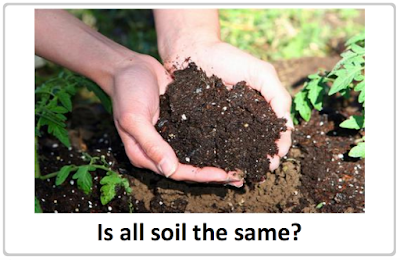 Observe the containers of soil. Carefully touch the soils and think about the texture of them. Smell the soils and think about how to describe the smells. You cannot use good or bad in your descriptions. On a piece of notebook paper, write your name, date, number, and on the second line under your name, write the title "Observations of Soil Containers." Write the name of the first container and describe each kind of soil (physical properties, touch, smell, etc). Complete this process for each container of soil. Save this paper in your Science folder and attach it to your checklist when the Soil Checklist is due to receive all the points for this assignment. 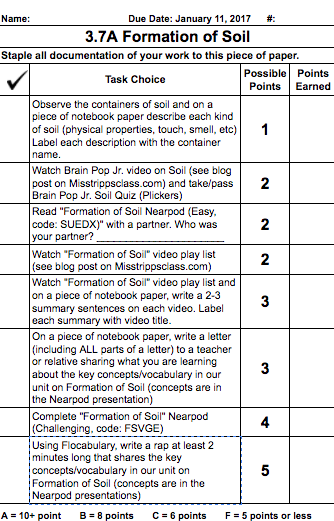 Read "Formation of Soil Nearpod" with a partner (see below). 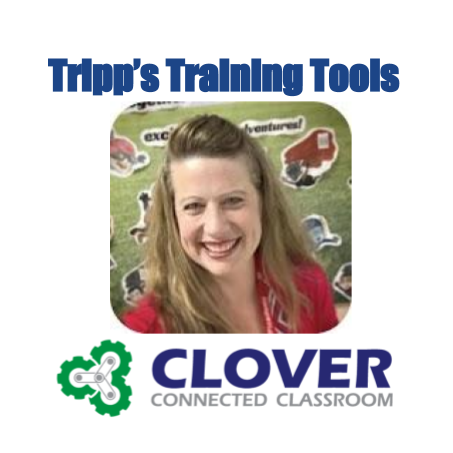 At the beginning of the Nearpod, put you and your partner's name when you start the Nearpod presentation. On your checklist to turn in, make sure you fill in the blank on your checklist to verify your partner's name to receive all the points for this activity. Find a quiet corner so you and your partner will not disturb other groups. Take turns reading each slide in the presentation. Talk about important words in the slides and answer any questions together to help you further understand the information you are learning. Watch the "Formation of Soil" video playlist below. 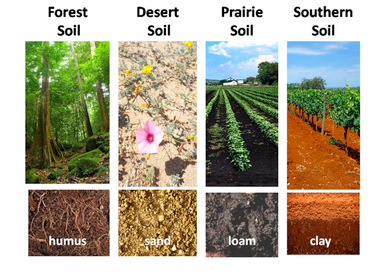 Watch the "Formation of Soil" video playlist above. On a piece of notebook paper, write your name, date, number, and on the second line under your name, the title "Soil Video Play List Summaries." Write the name of the video and underneath the video title, create 2-3 summary sentences describing the video. Complete this process for each video. Save this paper in your Science folder and attach it to your checklist when the Soil Checklist is due to receive all the points for this assignment. On a piece of notebook paper, write your name, date, number, and on the second line under your name, the title "Soil Review Letter." Skip two lines. Using the proper form for a letter (watch this to see proper letter form: presentation), write a letter to a teacher or relative sharing what you are learning about the key concepts/vocabulary in our unit on Formation of Soil (concepts are in the Nearpod presentation). Save this paper in your Science folder and attach it to your checklist when the Soil Checklist is due to receive all the points for this assignment. 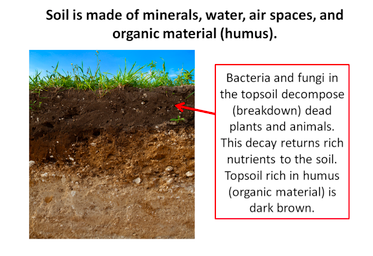 Complete "Formation of Soil" Nearpod (see below...this one is DIFFERENT than the Nearpod assignment in #3 above). Make sure you use your full name when you start the Nearpod presentation. The computer will store all your completed answers for me to check after you are done. All answers must be completed correctly in the assignment to receive all the points on your checklist. Using Flocabulary (see login information under the front board), write a rap at least 2 minutes long (you may work with a partner) that shares the key concepts/vocabulary in our unit on Formation of Soil (concepts are in the Nearpod presentations above). Watch the video below to help you learn how to write a rap in Flocabulary. As you create your rap on the computer, also write it down on a piece of paper. Make sure your name, date, number are on the paper and on the second line under your name, write the title "Soil Rap Video." Save this paper in your Science folder and attach it to your checklist when the Soil Checklist is due to receive all the points for this assignment. 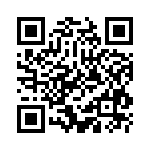 Once your video is complete, email me the completed video link. If you have a question that no one can help you answer, enter it in the comments below and I will get with you personally to help!